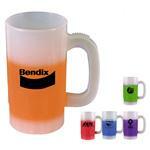 Your next company picnic, retail promotion and customers all will appreciate this hefty custom beer mug. 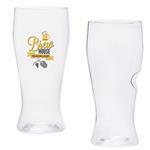 Our promotional beer mugs have a handy place to set your thumb and can be imprinted on two sides for no additional cost! 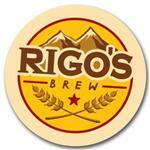 At 12.5 ounces and a terrific price that won't break the bank. Perfect for you next Oktoberfest promotion. 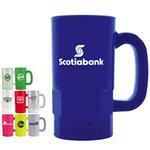 Custom beer steins come in many styles, please ask our knowledgeable sales people for assistance. ON SALE NOW AT 144 PIECES! Bottoms up! Free 24 hour 1-color imprint production. Dimensions: 5 1/2" x 2 3/4". Typical Imprint Area(s): 3 x 2-1/2 x 7-1/4. Available Imprint Options: Add $.75 each additional imprint color. Dishwasher safe with non-metallic imprint. Custom printed beer mug. 12.5 oz. Glass stein. Perfect for your next Oktobertfest promotion! A bar favorite.